You thought you had it. You thought you were a full-blown adult human being with the emotional, practical, and intellectual capabilities to take care of another living creature. You thought keeping that little fishie alive and swimming around was proof of your independence and adulting ability. You thought wrong! If you have just lost your aquatic companion, you are probably feeling terrible and quite guilty. After all, you are supposed to take care of it. And you probably did! The demise of your beloved pet is probably not your fault, so you don’t need to make yourself feel worse than you already do. There are, truly, lots of reasons (both inside and outside of your control) that can cause pet fish to die in tanks. Here, you will find the 10 most common grounds for this to happen, ranging from the wholly random to the “learn and do better”. This list will give you the tools to determine the most common possible causes for a fish dying in its tank. If you’re looking into getting a fishy pet, you need to read this: you will be equipped to prevent and solve possibly threatening issues. Read on and wise up! Sometimes, there was just nothing to be done and Fishy was really doomed. Keeping your fish happy and healthy is not always possible: there are issues beyond your control that can undo all of your efforts. These can be congenital issues that affect the animal’s life irrevocably, and that are already determined at conception and birth. 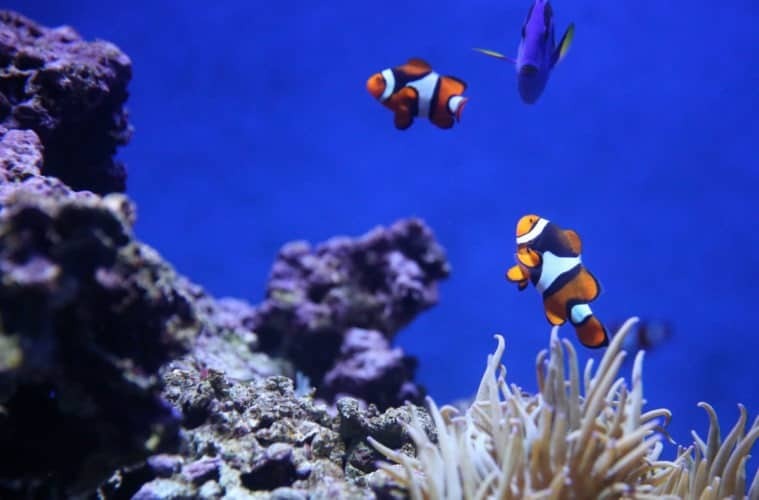 They might not be the most common reason why fish die in tanks, but they’re pretty common. You can take preventative measures against congenital damage by paying attention to the aquarium or breeder you get your animals from. While some fish species are pretty low-maintenance in terms of tank preparation, most pose a couple of indispensable requirements. Did just one fish die or was it several? If some deaths occur over a couple of days, it’s likely that the (new) tank wasn’t cycled properly. This means that the water-living bacteria that are necessary for your fish to thrive are just not there. Cycling your tank means building up that good microbe colony will have time to get established and produce enough nitrogen for the fish to survive. Not all fish are equal: each species (and, sometimes, each individual!) has its own temperament and behavioral traits. Some species, like the tiger barb, tend to be territorial and aggressive towards tankmates. Incompatibility can occur among fish of the same species, in which case you should take care to house them together with different sorts of fish. In other cases, fish may just be aggressive towards all other tankmates: in this case, it’s better to house them on their own to avoid trouble! Change the water: it’s obvious, right? Do a little gravel vacuuming to get rid of pollution and uneaten debris. Clean the built-up algae. Avoid using chemicals for this: rather, choose a scraper or scrubber that you can use with your hands or a magnet on the outside of the tank. Check and clean the filter, but don’t throw out inserts, as they house the good bacteria we talked about! Test the waters more than once a month! Sometimes life’s stressors really get to you and your brain just fizzles out. You’ll occasionally do dumb things such as forgetting to plug in the electrical systems of the tank, or mindlessly overfeed. This doesn’t mean you’re a terrible person, just that you are human and make mistakes! Don’t beat yourself up over it. If you want to minimise your chances of making silly mistakes, you could use a checklist that walks you through the important tasks. Fish do get ill, like all of us, every now and then. It’s possible. But your fish could just be a total weirdo, for all you understand it. Now, if your fin friend is obviously sick, you need to know how to spot it. Before you get your fish, read up on common illnesses and visible symptoms (such as changes in appearance, not eating, etc.). Have a trusted professional specialist on call. Know what to do if the worst happens. And avoid other factors (like dirty water) that can cause the disease in the first place! Tank size is a matter of life and death. While fitting the aquarium to your space is important, it should never be the main reason you choose an aquarium size! Get informed on the size requirements of different fish species and only choose those (and the quantity of those) that your tank will be able to sustain. Choosing the inappropriate tank size causes illness, stress, and fish death. It’s really not too hard. Focus on feeding your fish only as much as they can eat in a couple of minutes. Don’t give them special food more often than “once in a while”. Throw in a fasting day every week. If uneaten food is left in the tank, it can lead to water pollution, fish disease and pesky pests like snails or algae! Crucial, essential, necessary. Keep the tank water clean! To keep your fish from dying, you need to develop good water cleaning practices: get a good-quality water testing kit and use it to measure, pH levels, ammonia and nitrites (keep at 0), and nitrates (should be under 20 ppm). Different fish species have different pH needs: make sure your tank and water meet them! Illness: as you know, you should know the usual symptoms of illness in fish to be able to spot them. Stress can deteriorate your pet’s immune system and set them up for disease. Too much hiding: If your fish species doesn’t normally hide all day, there might be a stress issue going on, most likely brought around by territorial aggression (see 8!) or the wrong tank size (4). Weight loss: it may be difficult to determine weight loss in a fish, but you’ll be able to spot it when it’s dramatic (as is usual when caused by territorial bullying). Surfing the glass: fishy is trying to get out! These signs of stress tell you the fish is not having a good life quality. Now you have to pinpoint the original culprit of that stress: look at all the previous factors! Okay, so now you know which are the top 10 most common causes for fish to die in tanks. You have learned how environmental factors that do not seem intuitive to you can often be what determines your fish’s well-being. However, you also found out that there is no way to be 100% certain a fish will not die, as there are random factors that are out of our hands or that we just don’t know about. The bottom line is: use this list as a guide to research and do your best for your fish’s health, and hope for the best! No one’s future is set in stone, but we do know one thing: life is better with some fish by your side. The list is enormous and factual. I will keep this in mind for my Aquaponics system. I need to care for my fish. Thanks for this lovely piece of work.